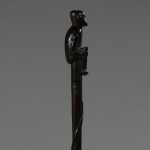 A very beautifully carved scepter in dark-brown, hard wood, depicting a man seated with his hands placed under his knees. 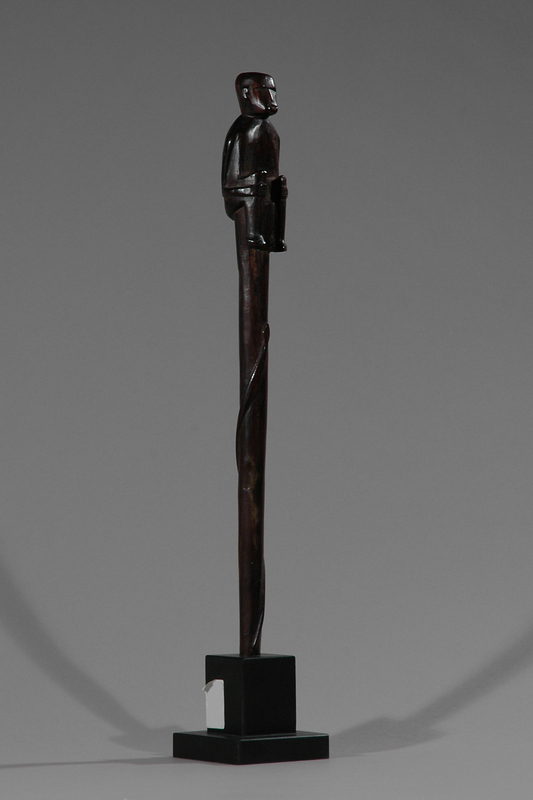 A snake twists round the scepter. Probably used as ceremonial staff. 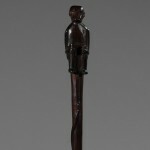 Today these are carried by dignitaries as prestigious objects and as symbols of authority. 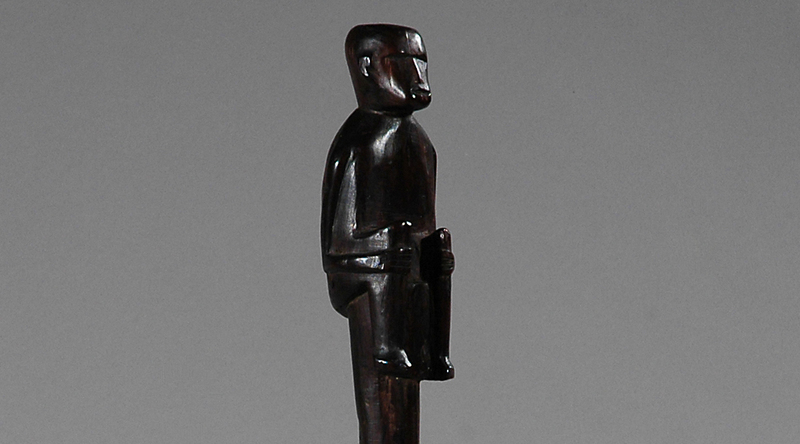 For instance, it is not uncommon to see a man in Western clothing carrying one, and they appear at all ceremonies. 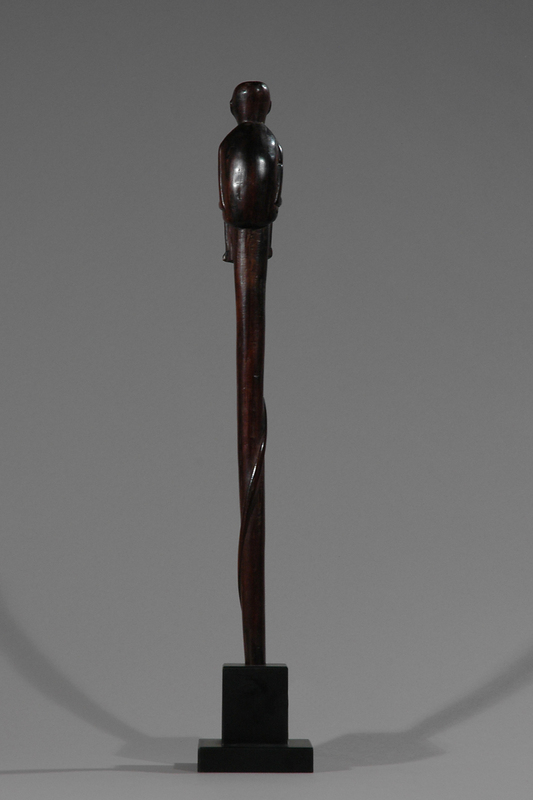 This Scepter or Staff is a fine example of the applied arts which is visible in the shape and decorations. 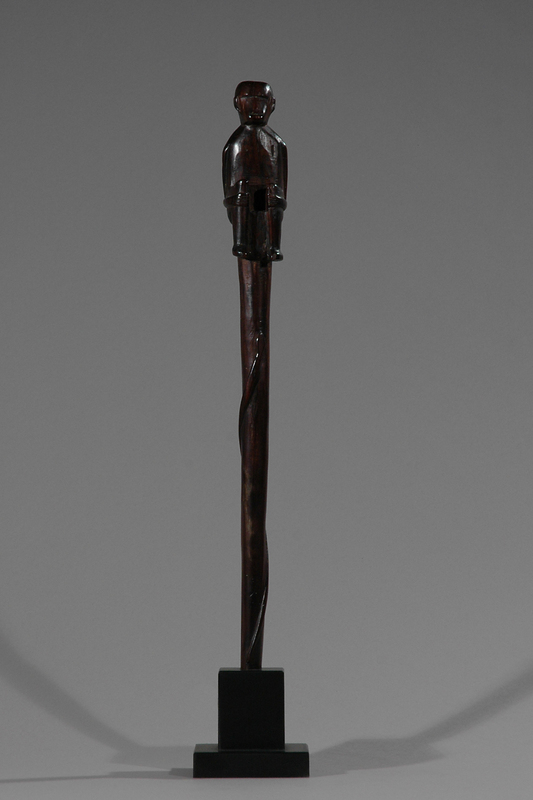 Depending upon the visual embellishment and complexity of imagery staffs such as these served as badges of office indicating a chief, an elder or someone of status or a dance wand. 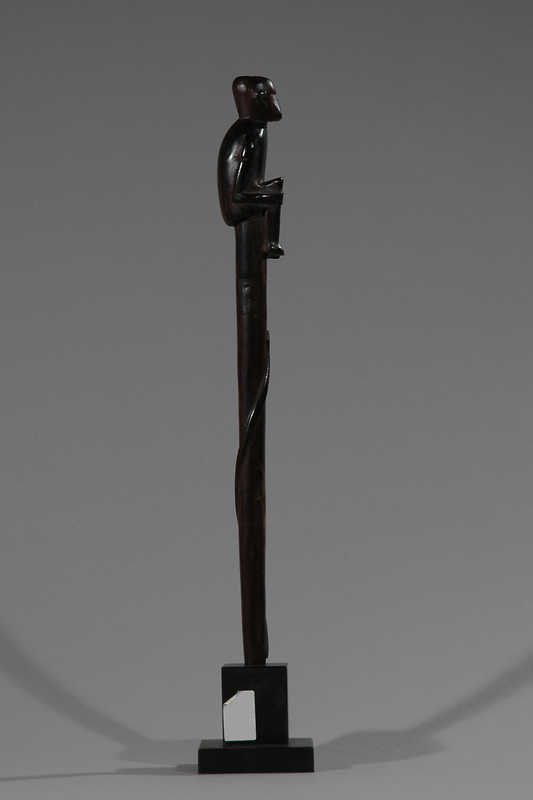 Staffs were meant to be seen in public and admired as works of art while serving as a metaphor for a symbolic function. Staffs were an indicator that its owner was a man of importance and one fully initiated into Makonde religion and symbolism. Age: Beg. or mid. 20th Century. 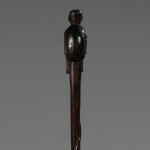 Provenance: Danish private collector and acquired in Paris gallery in the 1970s.